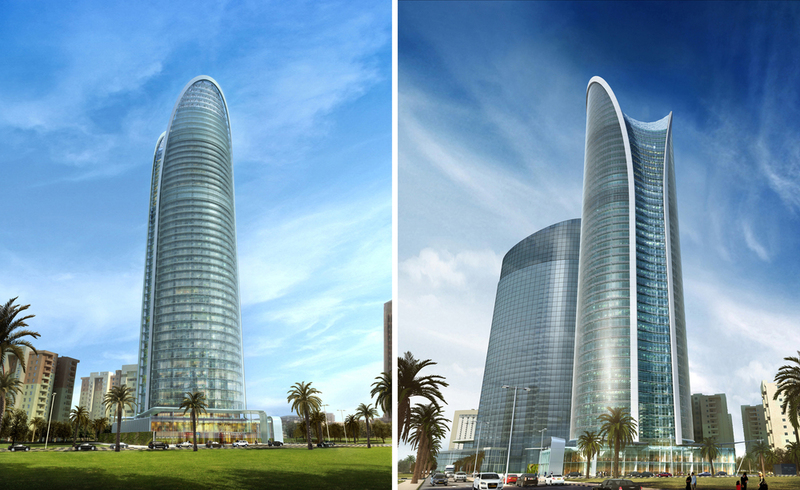 The SSFI Tripoli Tower is a mixed-use project which will be located at the centre of the new Central Business District of Tripoli, Libya; its design was inspired by the “local arch”, a strong component of the Islamic architectural vocabulary. 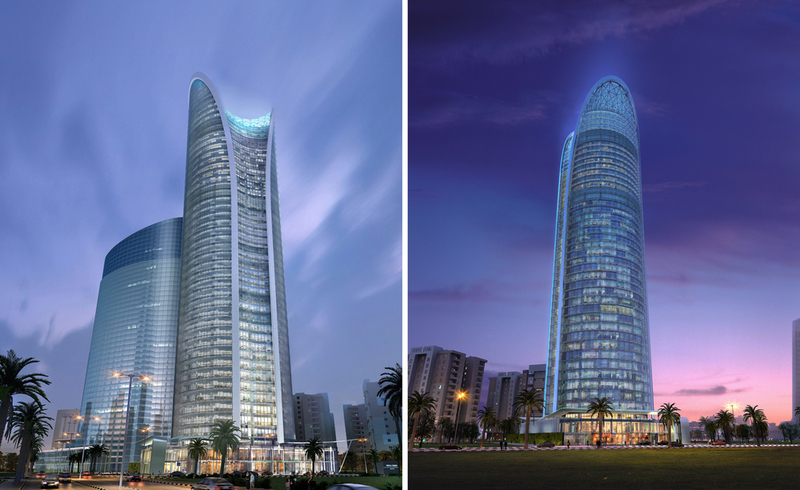 The arch has been transformed into large scale curved elements that create an instantly recognisable facade . They frame and contain a set of diagonal ribs that provide the building with shade while allowing for ample daylight. 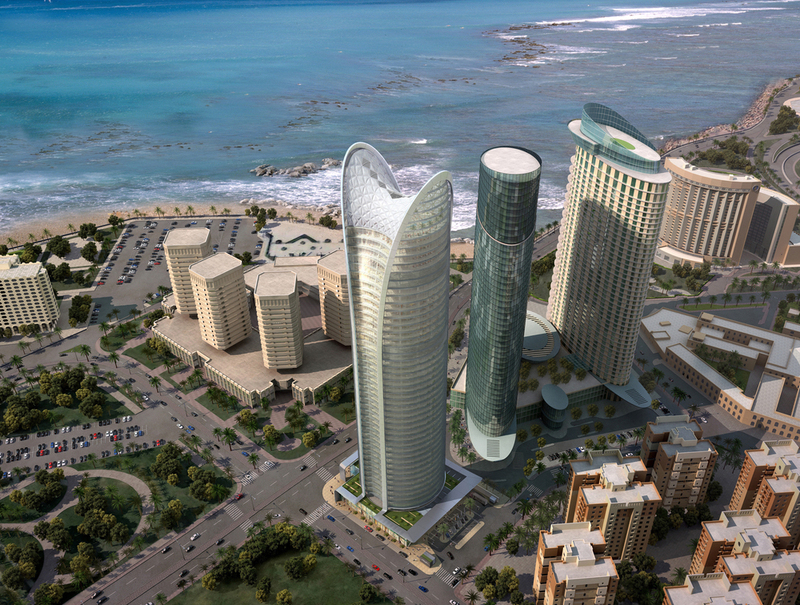 The tower was originally designed as a “petroleum tower” to service the international oil companies based in Libya. 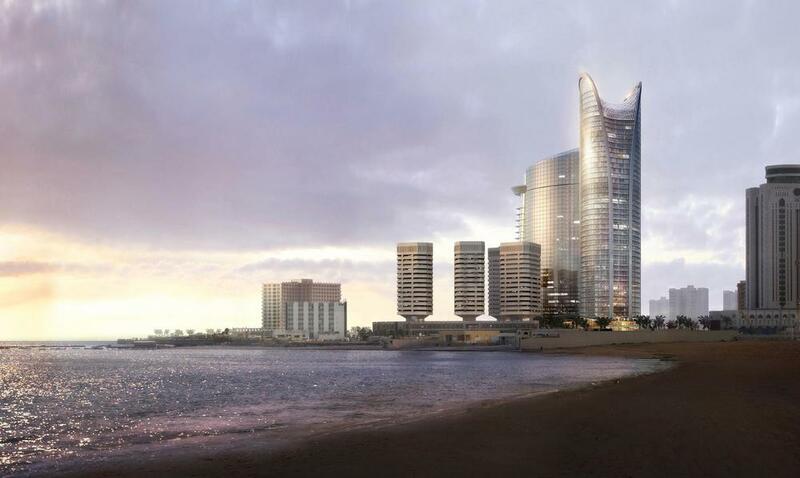 There are retail outlets at the base, offices over 22 floors, as well as serviced apartments, a boutique hotel with an Oilman’s Club, exhibition space and restaurants and four levels of basement car parking. The ETFE saddle roof moulds the volume of the viewing gallery floor on the 43rd level of the tower. It comprises 8 primary parabolic arches of variable sizes connected by diagonal braces which form the surface for the ETFE infill panels.